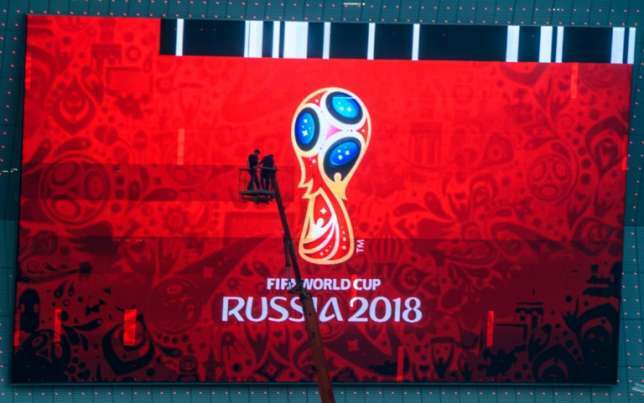 Qatar’s Foreign Ministry said allowing television channels to broadcast some of the World Cup matches in Russia would only be on a certain set of conditions and after Qatar’s approval, as it owns the rights to broadcast the World Cup Russia 2018. Head of the Qatari Foreign Ministry’s Information Office, Ahmed bin Saeed al-Rumaihi, said on his Twitter account on Sunday night that allowing others to broadcast some of the World Cup matches in Russia would only happen if a set of conditions were met. Chairman of the General Sports Authority in Saudi Arabia Turki Al-Sheikh accused Qatar of rescinding an agreement sponsored by the International Federation of Football FIFA where Saudi Arabia would pay US$1 million in return for broadcasting the opening and closing games of the World Cup 2018, as well as 20 other matches. Qatari sports channel beIN said an agreement with Saudi Arabia has not been reached on the broadcast of the World Cup matches. Rumaihi’s Tweet comes in response to Sheikh’s accusation to Qatar of backtracking on the FIFA sponsored agreement. Sheikh told Bloomberg that Saudi Arabia showed “good faith” during negotiations. A source reported that FIFA served as a mediator because Saudi Arabia refused to negotiate directly with Qatar due to the political crisis between the two countries. “In a statement on Tuesday, beIN said that preliminary discussions had failed to deliver an agreement on price or other key terms of a deal. The company said it remained open to future talks,” Bloomberg said. beIN has asked FIFA to take legal action against hackers in Saudi Arabia who will be causing heavy losses for the sports channel which bought the broadcast rights of the World Cup 2018 in return for a huge sum of money. Since last October, a complex network of hackers called “Beout Q” in Saudi Arabia has been using an Arab Sat satellite to illegally broadcast tournaments, owned by beIN, according to the Qatari channel. beIN has announced that the World Cup matches will be broadcast exclusively through its encrypted channels in the whole Arab world, and that no other channel will have the right to broadcast the World Cup 2018, in accordance to a contract signed with the FIFA. The channel has threatened to resort to FIFA if other channels illegally broadcast the World Cup matches, adding that it received promises from FIFA to impose severe penalties on those who would illegally broadcast the World Cup.